Someone recently pointed out to me that literally everything happening in Battle for Azeroth — the monumental death toll at Teldrassil, the destruction of Lordaeron, and now the upcoming Siege of Zuldazar in patch 8.1 — is ultimately Gallywix’s fault. If he hadn’t told Sylvanas about Azerite — if he’d kept that discovery to himself and quietly exploited it, the Goblins might well have grown immeasurably powerful and none of the destruction we’re seeing would have happened. Yes, it’s all Gallywix’s fault. Who told me this? Gallywix did. But be warned, following that link will take you on a deep dive into datamined text from patch 8.1 and the Siege of Zuldazar raid. Let me bold that for you — spoilers in this post for patch 8.1 and the Siege of Zuldazar. Goblins and Gnomes have long been natural, or in a way unnatural, enemies. Part of this might be due to the fact that Mimiron, the ‘creator’ of the Gnomes, is also responsible for the existence of Goblins. It’s down to Mimiron experimenting with Kaja’mite on a native Azerothian species that the antecedents of the Goblins came to be. For whatever reason, despite their many differences, both Gnomes and Goblins have a technological bent — but where Gnomes tend to love to innovate for the sake of invention the Goblins are a more practical, much more profit-minded race. Also, their stuff explodes a lot. Now, in patch 8.1, Jastor Gallywix is finally trying to end the rivalry by taking out Gelbin Mekkatorque once and for all, taking advantage of the events at the Siege of Zuldazar to make his move. Mekkatorque! King of the gnomes, or whatever those little freaks like to call him. He thinks he’s soooooo much better than goblins! Yeah, well, you know what pal, at least half of us ain’t RADIOACTIVE! You know what I’m gonna do when I find this guy? First, I’m gonna blow up that little mech suit of his. Then, I’m gonna find MORE of his little machines and blow them up too! Seriously, this guy is really obsessed with machines. Makes me think he wants to be part robot or somethin’! Anyway, where was I? Oh yeah, blowing up all his stuff. Yeah, I bet he’d be cryin’ and sobbin’ the entire time, what a wimp! And then, I’m gonna sell all those junk parts of his at BELOW MARKET RATE. The ultimate goblin insult! 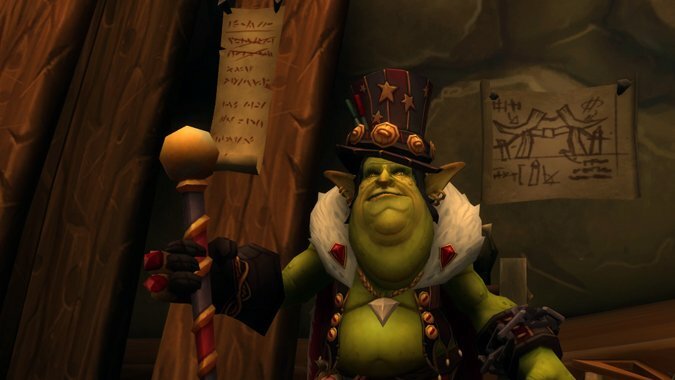 I’ll admit, I never really saw much evidence that Gallywix and Mekkatorque had any particular animus between the two — I mean, Goblins rarely seem like they care about anything but the acquisition of wealth and Gnomes are much more focused on technology as a means to create new things. But the back and forth between the two that’s been datamined definitely seems to hint as a mutual contempt society between them. Yes, Gallywix hates Mekkatorque and wants to kill him, but he isn’t launching an attack on Gnomeregan to do it — he’s taking the opportunity provided by the Alliance strike on Zandalar to prove that Goblin ingenuity can match up to the best the Alliance has to offer. Now, since we’re working with datamined text we don’t know exactly what’s going on. 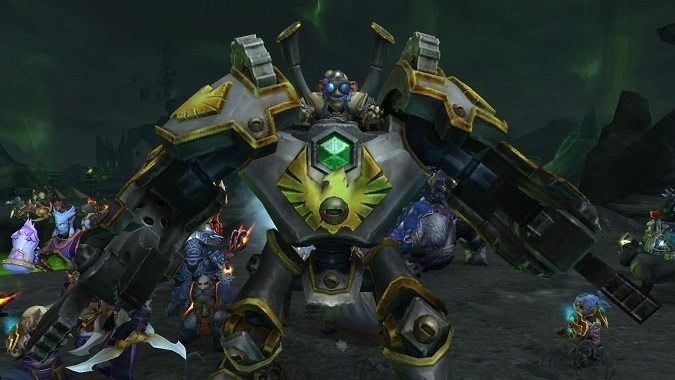 Clearly the Horde has a new Goblin-made war machine of some kind that it’s using to intercept Alliance forces as they retreat, and Mekkatorque is involved via an airship of some kind. It appears the airship might well be the platform for the Mekkatorque encounter in the Siege of Zuldazar raid, and both faction leaders get in a solid amount of trash talk here. Mekkatorque, for example, does not think highly of Goblin technical skills. *BZZT* This is sad Gallywix, my creations are way stronger than yours! *BZZT* Who are you kidding, Gallywix? Your machine is falling apart! *BZZT* You goblins can never beat gnomish technology! *BZZT* Haha, this is just pitiful Gallywix, you’re no match for my creations. *BZZT* I just ran a scan, are you seriously using an OS THAT old?! *BZZT* Really, did you guys iterate on this mech at all? It’s barely first pass! *BZZT* That mech of yours is a serious safety hazard! I mean, I love you, Gelbin, sincerely. But I think it’s less important that Goblin stuff might explode and kill them than it is that it definitely is trying to kill you. But one thing’s for sure — Gallywix does not take this criticism well at all. This exchange between the two pretty much sums it up. You plan to stop me with that gaudy shambles you call a flight suit? Were you planning to sparkle me to death? You think you’re better than me? YOU THINK YOU’RE BETTER THAN ME?! Let’s go, tinkerboy! Hah! Slap on all the gold and glitter you want. Your inventions are still cut-rate trash! The actual events are indeterminate, but it seems that the Goblin plan to lure Mekkatorque to his own airship, set it on fire and then kill him almost works out. In the end, Gelbin is able to escape, but one of his own inventions freezes him in a suspended animation. Neither Anduin’s Priest abilities nor Jaina’s magical knowledge can get him unfrozen, which seems like a pretty big design flaw all things considered. Gallywix, for his part, considers his own role in the events of the new Alliance/Horde conflict that he himself admits he caused with his typical perspective. Y’know, every now and then I think, should I have really told Sylvanas about this whole Azerite thing? If ya really think about it, if no one ever found out about the stuff, maybe we never woulda started this whole war. Coulda avoided burnin’ down that tree, might still have the undead city… it really makes ya think, don’t it? … HAH! I’m just kiddin’! Of course I don’t care about that stuff, I’m flyin’ a freakin’ mech that shoots lasers made outta the planet’s blood! One assumes he means that the mech itself is made out of the planet’s blood, not the lasers, but who knows with Goblins? It could be both. Basically, patch 8.1 and the Siege of Zuldazar sees a new flare-up of hostilities between the two shortest, most technically gifted peoples on Azeroth. It’s a feud that’s not necessarily about faction pride or who did what to whom, but rather about identity — who really makes the best gear, who is really smarter than who, who’s better than who. And for all that Gallywix seems fixated on destroying Mekkatorque to prove Goblin superiority, Gelbin Mekkatorque is far from above this conflict. He wastes no time in denigrating literally every aspect of Goblin technology and society, displaying that he, too, thinks that the other side is well and truly inferior. And in a way that makes this conflict a lot more believable to me. We’ll see where it goes, but right now the Goblin/Gnome hate party seems to be in full swing in patch 8.1. 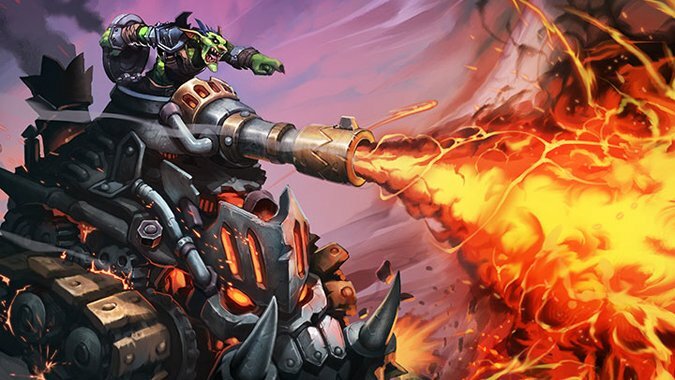 Mekkatorque’s fate is very much up in the air, fueling a lot of theories about a possible Mecha or Junker Gnome allied race or Gnome heritage armor in future patches. Will that happen? We’ll find out.